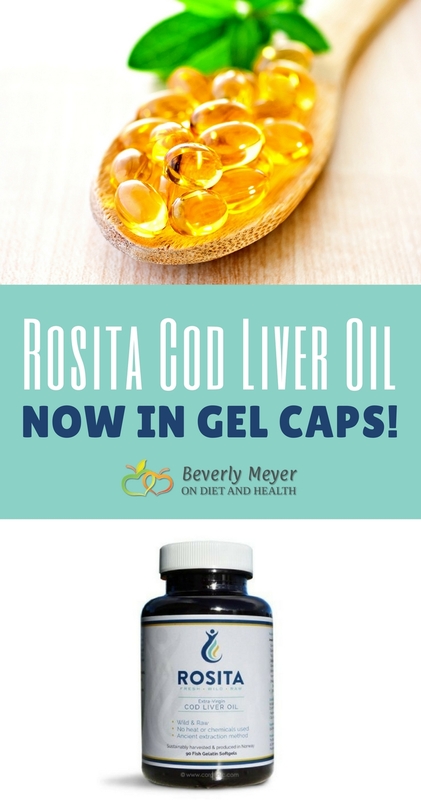 Rosita Cod Liver Oil gelcap capsules give you two ways to take this vitamin rich super food. I wrote about this new, amazing, raw, authentic Cod Liver Oil from Norway in 2014. 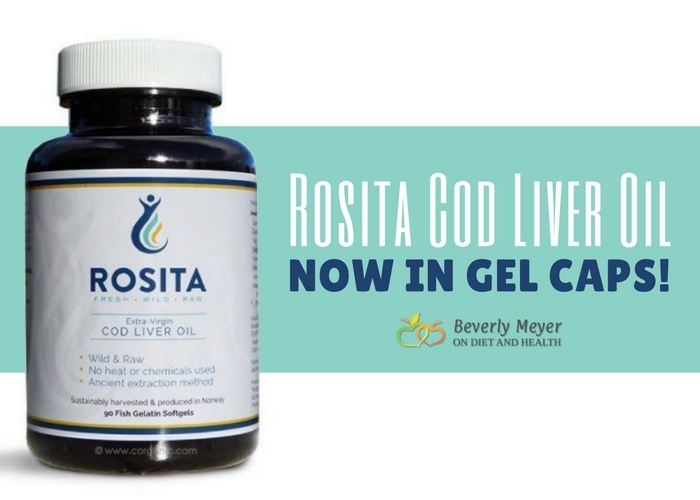 Made only by Rosita, it’s unlike any Cod Liver Oil anywhere. It’s harvested and processed in the true Viking manner – by draining the oil directly from the Cod as they come out of the icy Atlantic Ocean. No “fermenting” in 10,000 gallon vats, 1000’s of miles from the Atlantic. No refining which negates many of the health benefits. Rosita Oil is light gold in color with a fresh light taste. We’ve carried the oil for years but now have convenient capsules too. Rosita has a higher amount of DHA than EPA, a ratio I highly recommend. It’s a terrific anti-inflammatory as all “fish oils” are meant to be. With most of our modern illnesses involving inflammation of some sort, safe non-steroidal anti-inflammatories are worth their weight in gold. And this Cod is safe for all ages and health conditions. The gelcaps are sold here in my online store. A bottle lasts a month – same as the liquid sold here. There’s an article on this question on my blog, but the answer is… maybe! All oil from fish contains valuable EPA-DHA fats. BUT, regular “fish oil” is highly processed and contains no Vitamins. “Fish Oil” comes from the bodies of fatty fish such as salmon and anchovies. Cod Liver Oil comes from the livers of Cod fish. 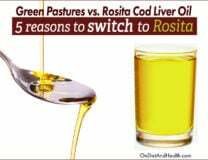 Rosita Cod Oil contains EPA and DHA as well as Vitamins A and D in their naturally occurring form. All other Cod Liver Oils have synthetic Vitamins A and D added to their oil. 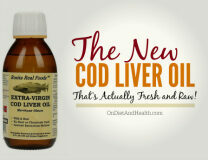 Here’s my blog post on the differences between Fish Oil and real Cod Liver Oil. Find out more about Rosita quality and health benefits. 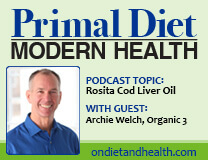 Here’s my 2014 Primal Diet – Modern Health Podcast and blog post with Corganic founder Archie Welch, the man behind Rosita. Lots of good info here and many fun facts about Cod Fish! Who knew! The podcast is also on iTunes. Anytime you take D you must take K2 as well. That means taking K2 such as this one or this one (Emu Oil) with your daily Vitamin D. Weston Price recommended high vitamin butter oil for K2, but there’s more K2 in these other sources. I have many articles and podcasts on the urgent need for K2 in all humans, cradle to grave! It manages Calcium in the arteries, bones and teeth. Here’s one article on K2 and one more that’s a Podcast.